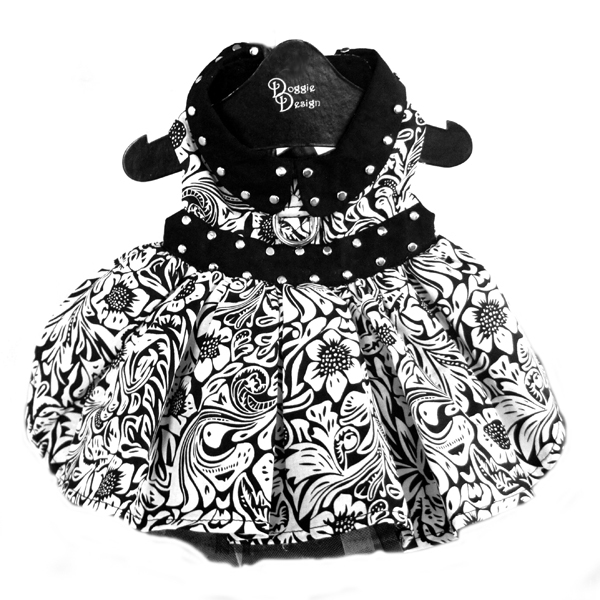 People will draw a crowd to see your styling pooch in the Floral Dog Dress by Doggie Design. 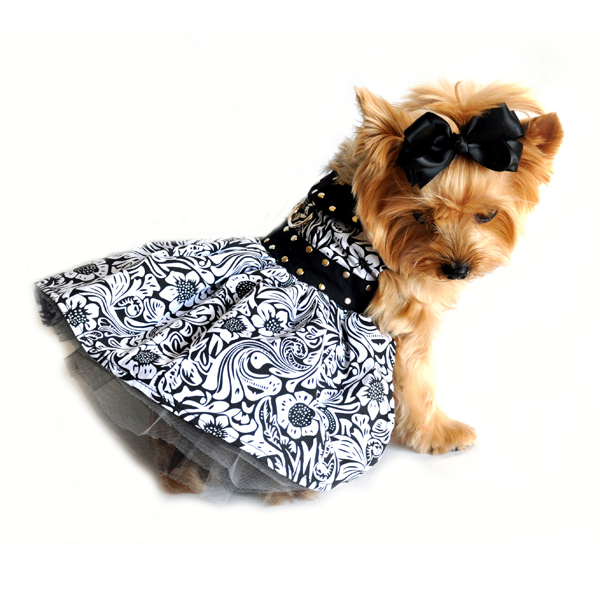 Get ready for summer time with this trend setting Floral Dog Dress by Doggie Design! 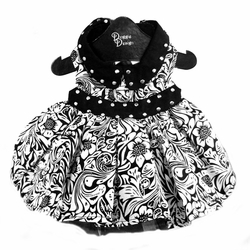 Features floral pattern with studs on black band at the waist. Tulle lining under the skirt makes a fuller and fashionable appearance. Comes with a re-enforced D-ring for easy leash attachment.